Since my boyfriend and I live in a 1 bdrm/1 bath, I like to keep the bathroom guest-ready yet still informal and comfy for us to live with 24/7. 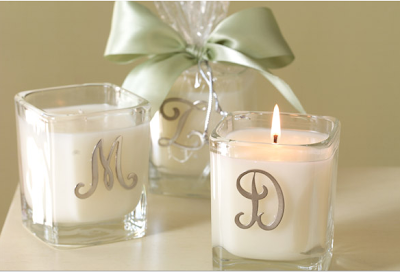 One little tip when entertaining is to place pretty soap and a lit candle when guests come over. It makes the bathroom space inviting. 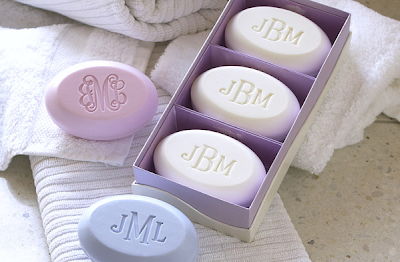 I like these personalized soap sets and candles. It's a nice gesture to show you care about your guests being in your home. 1 Response to "PERSONALIZING YOUR SMALL SPACE"